HomeBlog ClassicConnecticut Insurance AgencyWhat do you need to retire? Will you be able to have your dream retirement? 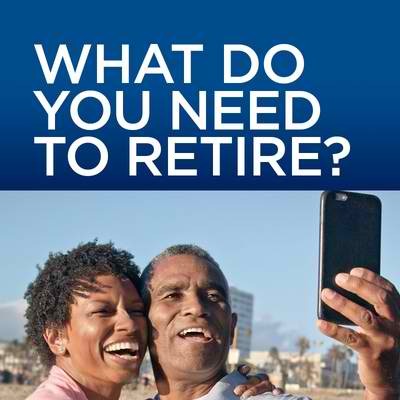 What do you need to retire? It’s a question you hear a lot. And the answers are as individual as each retiree’s fingerprints. An important and often overlooked element of retirement planning is, “How do I want to spend my retirement?” The answer to that question will determine what you need and when you will be ready to retire. It’s more than a numbers game. Some retirees plan to spend their time gardening, playing bridge and visiting the grandchildren. Others plan to visit destinations around the world. So your personality and desires have a lot to do with your plan. Social Security won’t cut it. Even if Social Security can meet its obligations over the next decades, it won’t provide most retirees with the income they need to be comfortable. You’ll need additional assets and income to enjoy each day of the retirement you’ve earned. Make a plan and figure your funding. Your best first step for retirement planning is deciding what you want to do. If you have a spouse, you should plan your retirement activities together. Will you travel? Downsize your house? Spend winters in Florida? Relocate altogether? Do you want to forget about cooking and budget to eat out most nights? Those types of questions go into your plan. After you have a plan, meet with a retirement expert and see what it will cost to live your dream. A planner can help you understand how some post-work expenses are less, such as clothing and car costs. If your mortgage will be paid, that is another savings. You may even choose to work a part time job to keep yourself busy. All of that goes into your plan and determining the assets you need to meet your retirement goals. Every retirement journey starts out with far more questions than answers. Investment and retirement experts can help you create a plan to get you where you need to be.